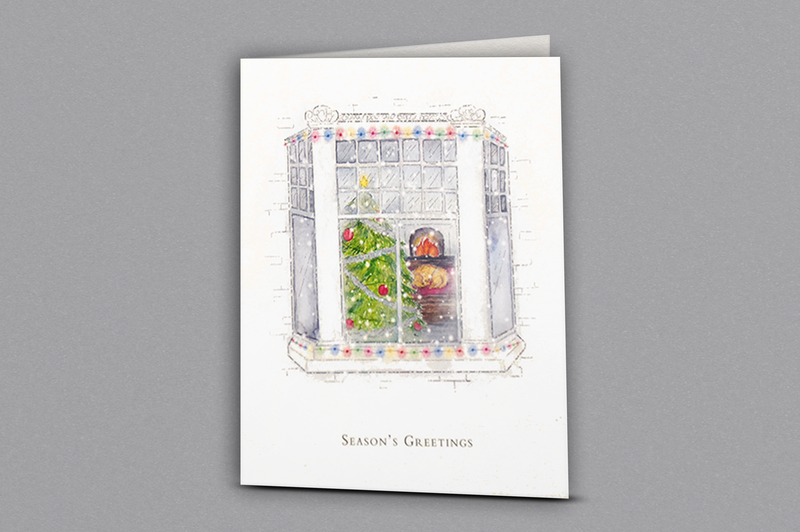 A stunning watercolour illustration of a window looking into Christmas home by the fire. 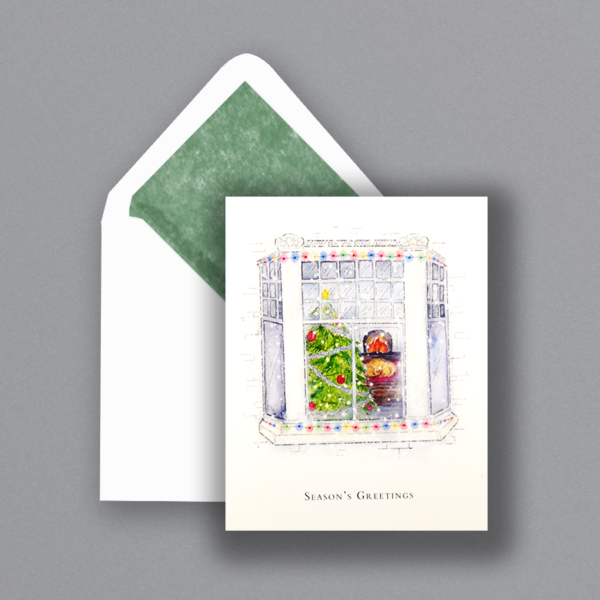 Includes matching hand lined green envelopes. Blank for your own personal message.